So many software discussions seem to resolve to one question – who is ultimately defining and driving the software – the customer or the software company? Almost always, its the software company. The software come up with something they want to sell, and a business model around it, and they go and sell it. When customers complain about software – it is unwieldy, inflexible, too complex, doesn’t do what they want – usually an underlying problem is that these concerns are not coming to the surface enough while the software is being bought. Ideally there would be a different business model entirely, around ongoing services with complete flexibility, no-one being tied to one company. When the software procurement process is designed to try to ‘hear the voice of the customer’, often it fails too because the customer is not sophisticated enough to know what it (as a company) wants, or what it wants is too expensive to build and the person with the budget overrules it, and so on. We can’t change the fundamentals of the software industry very easily. But what we can do is create better conversations about what software would look like if the customer really was in charge – and that will give customers much better ability to get it built. Because the thing is – when customers think hard about what software they want, they usually seem to come up with the same thing – a range of flexible, light, configurable (including user configurable) ‘apps’ and dashboards at your fingertips, and a powerful database engine, with standard data, underneath it. How should the right conversations be set up to build this? Perhaps that is the right question to ask. I was asked to submit my home electricity and gas meter readings this morning. I clicked on a link on an e-mail which took me to a mobile web page of the meter provider which .. asked me to enter a username and password. Why is this still OK? I’ve clicked on a link in an e-mail, i’m using the same phone I used last time, so the company can identify me fairly securely. And the data I’m entering, a meter reading, has no security value whatsoever. I can’t see the password I’m typing because it comes up on a screen with stars. That’s a bit of a problem when entering the password with a mobile phone. It is a Blackberry, so I can at least feel which key I am pressing, which you can’t do when typing on a glass screen. For the 99 per cent of phone users who don’t have a Blackberry it must be nearly impossible. Compare this to Google, which feels that it has identified me enough, once I have logged onto my computer, to show me all my e-mails without any other password entering at all. The whole password system is becoming nonsense. In the early days, we could all use the same easy to guess password on every website and there were no problems. I understand we can’t do that now. But the idea of using a different password on every computer we logon to, and not writing it down, and using a mixture of upper case, lower case, numbers, punctuation marks, and in one particularly bad example, no repeated letter, is ludicrous. Surely just about all of us have about 200 different logins to different systems we use these days. The right answer is that the whole process is thought through much more deeply. How much risk is there of the wrong person logging into this? How sure can we be of the person without asking them to enter a password? If there is a password, why can’t we use a simple one? What are the risks if the worst happens and someone malicious in Russia finds themselves entering my meter reading? And if this does happen, how many flags would we have to know about it – the different device, different IP address, hinting at a different location, the meter reading very different from what the electricity company is expecting. Does the software company count how much frustration it is causing from people who would have liked to enter their meter readings but were blocked by the login screen? This stuff doesn’t seem so difficult – yet it doesn’t happen – perhaps because the people like you and me who have to use the systems have little say in how the process is built. Perhaps a more interesting question is how this might be fixed. The conventional software model, provided by big companies, does not put any premium on flexibility. The customer should know what they want in advance, we build it, and it is much more expensive for us to keep changing it. When flexibility is expensive, then everyone benefits from keeping everything standardised – the Model T Ford business model. But software flexibility is much less expensive today than it used to be. We can envisage a world where all the data software might need is available on a platform, it just needs someone to build a tool to help the various domain experts access and work with whatever they want, whenever they want it. They can try something out, throw it away and try something else. Ultimately the domain experts could build their tools themselves and change them whenever they want – leading to ultimate flexibility. Now like many things in the business world, it is one thing to imagine a better world, another to put the various business incentives in the right place for it to be built. If software companies are in charge, they are unlikely to embed more flexibility unless customers force them to, or they can see a new business angle from doing so. But if the customers are defining how stuff is put together, then everything changes. Most industries struggle with data management – certainly the ones which we look at in detail do (shipping and oil and gas). Data management is a problem for the organisation but not usually anyone’s individual problem, because leaving data in a mess today causes problems for the unknown person who has to make sense of it in 3 years time, and there lies the root of the problem. – people with responsibility for the ongoing quality of different types of data who have tools to check that data being entered is the right quality and format. And behind that, the corporate database. The software industry is driven in 2016 by software vendors – whose objective is usually selling complex software for high prices, which tie the client down. How can we be sure of this? Because if we start with software from the customer’s perspective we come up with completely different answers to the ones we currently have. A customer would most like their software to be highly flexible and configurable, present exactly what different domain experts need to know, perhaps have a range of ‘apps’ to do different tools which is separate (and from a separate supplier) to the company which provides the database and transaction engine below. No constraints from the way the data is stored. 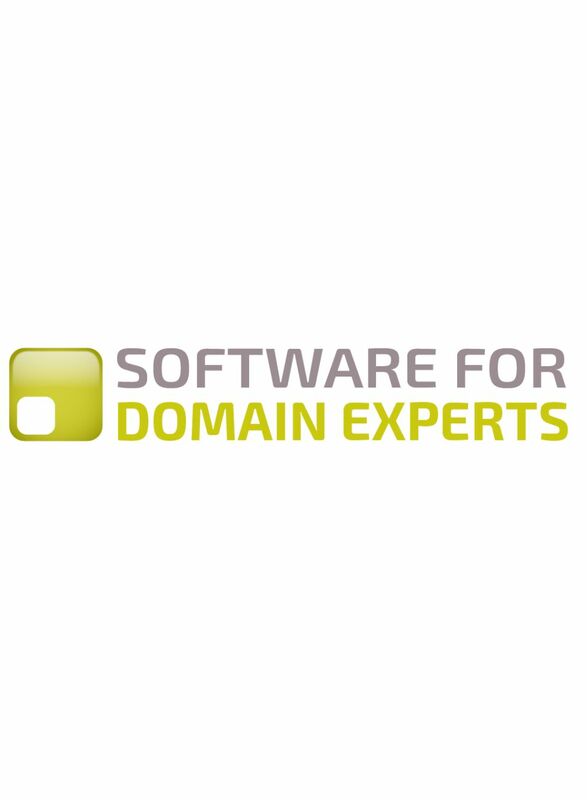 In other words, when we think about software from the customer’s perspective first, the ‘Software for Domain Experts’ approach almost naturally emerges. Moving further with this – the ‘internet of things’ is a completely vendor driven idea. Show me a customer who would like an ‘internet of things’. The domain we understand well, shipping, is a great playground for proponents of ‘internet of things’ because there is so much you could put a sensor on, yet the value generated is almost nothing, because the information experts actually want to know, such as how much fuel did my ship use today and how far did it move, can be generated with two sensors – a fuel gauge and a GPS. I’m not trying to bash the vendors – because they have done far more to drive the software industry than customers ever have. But I think it is worth us all understanding, when we get frustrated with software, or can see it can do far more, that is probably because there isn’t enough ‘customer driving’ out there. And if we could get customers driving more, we could end up with software which does more for everyone and potentially creates more value for everyone.